The conditions on the day were challenging, to say the least. With a raging tailwind straight down the bendy course, the journey to the start was rather arduous. However, this was followed by a very swift race to the finish! Thank you very much to all who transported boats, blades and poles; brought refreshments’ and fulfilled many roles on and off the water. Plus, all those who came to cheer us on. “Blow, winds, and crack your cheeks! Rage! Blow! You cataracts and hurricanoes”. The conditions were lively on the punting course but the Dittons punters prevailed with wins for Sandy Nairne in both 2ft singles handicap and best and best handicap. Rebecca Hurley and Natalie MacLean won the ladies’ doubles handicap. It was, however, a victory for all the punters over very difficult wind and water. Hampton Court & Dittons Regatta took place on Saturday 21st July held in glorious sunshine and very hot conditions. A course invasion was threatened by some inflatable unicorns and rubber dinghies, but other than that, it was a magnificent day that ran like clockwork. Thank you to everybody who pitched in to help with course laying, management of boats on the hard, time keeping, umpiring, tea coffee, buns and cakes and the bar. Over on the ‘dark side’ of the Thames, an entertaining programme of Punting ran with a clean sweep for Dittons, which provided exciting racing for the spectators on the club house balcony. The howling winds from last week were replaced by tranquil conditions and lots of sunshine. Thanks to those who transported blades and everyone who came along to support. 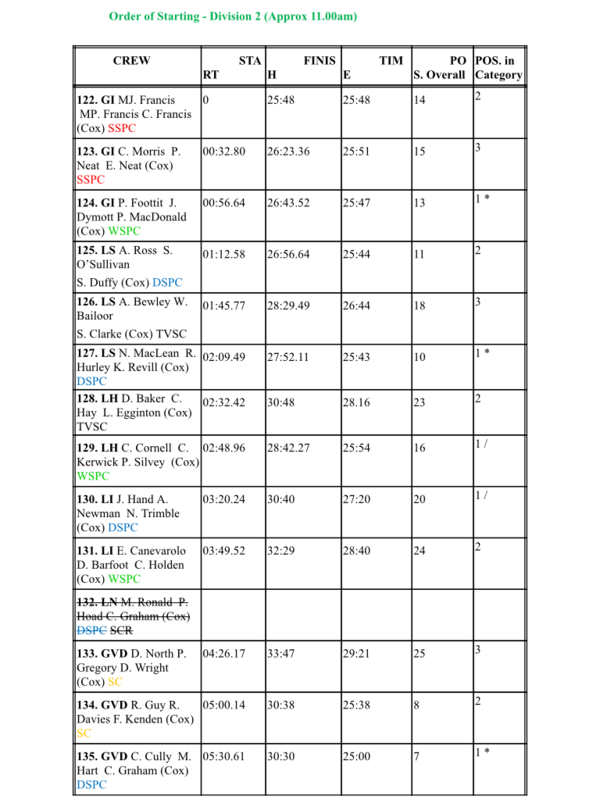 Further upstream, the ounting provided exciting races. There were wins for Kit Nirne in Gents Best and Best, Punting in Canoes, in a composite crew with Paul Barfoot from WSPC for Gents 2’ double handicap and with Rebecca Hurley in Mixed 2’ Handicap. Yesterday saw the annual fun and frolics that is Sunbury regatta. Faces were painted, castles were bounced upon, and the day was rounded off with spectacular fireworks. Thanks to those who transported boats and blades, helped on and off the water, and everyone who came along to support. Punting Championship at Maidenhead – Feast your eyes on that silverware! Classified and Drawn – Peter Williams and Hazel MacLean. We lost the interclub races to Wargrave Boat Club by two races to one. The crews were men’s single – Kit Nairne, men’s doubles (winning) – Sandy Nairne and Peter Williams, mixed double – Mark Vellacott and Natalie MacLean. Yesterday the Teddington Reach Regatta /Skiff Champs were held at the Remenham Club at Henley. It was a tad damp weather wise, actually, the heavens opened, there was torrential rain, wind and it was very cold! We had a disappointingly small entry from Dittons. Two crews and one last minute composite crew. Despite this there was some very strong and exciting racing from our crews. Congratulations to Maia Grace who won J15 Invitation mixed doubles with Ollie Deacon of Wargrave. Beautifully skiffed by both crew who had only just met as they got into the boat for their first heat. One of the biggest cups I have seen! Thanks to all that came to support and endured the dreadful weather in good spirits. Thanks also to Mike Hart, John Roberts and Malcolm Knight who spent hours driving the launch. Thanks also to Malcolm for towing the boats up and back. The most exciting race of the day was the Ladies Championships Doubles heat between Valley and Dittons. Lyssum and Siobhan coxed by Maia (who’d returned from their holiday for the event) took off side by side with the Valley crew and that’s where they finished – a dead heat! The second start for a half course saw the crews battle it out with the amazing result – another dead heat!! A question was asked if the stagger should have been instigated for the restart, the Race Committee was convened and decided that the race should stand as performed – meanwhile the crews sat out on the river in the rain and then went back to the short start for the third race. Both crews gave it their all and as they crossed the line the Valley crew had the narrowest of margins to take the win – well done to our racing Ladies, you came so close! It was a lovely day yesterday for Skiff Club regatta, with lots of sunshine and a good entry from Dittons. The Dunkirk Boats sailed past at lunchtime and lots of fun was had by all. Thank you very much to everyone who transported boats, blades and poles, helped on and off the water, and everyone who came along to cheer us on! The sound of laughter and punters falling out of their pesky boats floated across the Thames to the Skiff Club lawn yesterday. This summer’s brave novices packed the programme (they weren’t the ones falling in interestingly) and we had a grand time racing a good turnout from our friends the Skiff Club Punters. Well although it was supposed to be dry at Wraysbury, it wasn’t, as the soggy attendees of this last regatta of the year can attest. However, despite the weather there was a full programme and Dittons skiffers competed in what turned out to be a series of very close races, sadly mostly not in our favour. Thank you to those who transported blades, poles and boats, and everyone who helped and supported. Mike Hart stormed through with three wins in mixed doubles with Rebecca Hurley, classified and drawn with Chris Cully and on his own account in canoes. Alex Dexter raced with Paul Barfoot and won gentleman’s handicap doubles. The rest of us had some good racing and got wet! The Wraysbury long distance scull was postponed from the Royal Wedding weekend until yesterday, and what a difference a week made to the weather! Rather than the constant rain at Wraysbury regatta last week, we had beautiful sunshine and a light breeze. Thank you very much to Mike for trailing the boats and blades, and to everyone who came along to support, especially those who were then roped in to race! We had 4 crews in the top 10, see results below. The sun shone and it was a beautiful autumn day, well it was on Saturday. Yesterday for the SRA Long Distance Doubles it was a very different story, a grey and damp morning with occasional horrendous downpours, very similar to the singles marathon the week before! A large entry for the Long Distance Doubles at Valley which was fabulous and resulted in there being three divisions for the day. Despite a couple of crews scratching due to the flu and also injury we had a strong entry for Dittons. GSD, Russell Groom, Justin Rodriguez and Patricia Cammack cox. A good days racing for all, to be noted was the wonderful result that Russell, Justin and Patricia bet Sal Hassan and Dave Clarke! The Junior Pennant where we were joint winners with Wargrave. Racing this year has been very challenging due to lack of opposition from other clubs, so very few races but still a shared win. The Junior Sculler of the Year Award went to Maia Grace and was a lovely recognition of her hard work over the last 5 years. There were nominations from Wraysbury and also from Valley. Valley won the Ormiston Cup with 70 points, Skiff Club had 43 and Dittons 40. The SRA Most Improved Sculler award went to BenThompson of Valley. To all the coxes with out whom we would be lost! To Rebecca for putting in our race entries, dealing with dozens of emails from us all and being asked relentlessly if she could find people a cox. To Malcom and Mike for trailing boats as needed this summer. To Clare for sorting out our fees to other clubs and also collecting money from all of us. To Malcom, Clare, John Attwood and Woolie for making sure the blades and boats are kept in racing order.